Accurate Metal Finishing has been perfecting metal finishing for more than 50 years. Today, we provide the highest quality and most advanced electropolishing, passivating, anodizing, hardcoating, chromating and laser marking services for machine metal parts. Accurate Metal Finishing offers custom solutions to even the most challenging product goals. From standard processes to our own proprietary methods, all of our finishing services demonstrate our unmatched knowledge of options, industry standards and innovation. We offer large part, high volume and job shop finishing services as well as lot tracking, testing and statistical process control for uncompromising quality and service. Our automation capabilities include a sophisticated water filtration system that ensures visually and microscopically clean components. 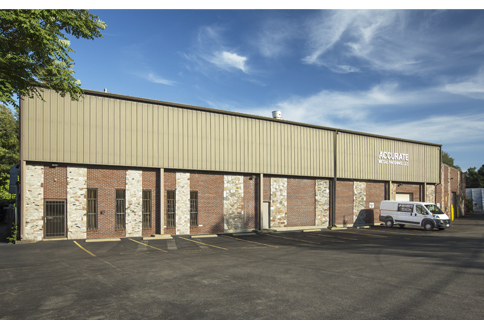 At Accurate Metal Finishing, we guarantee the highest level of quality. We monitor each job from initial receipt of order, through each step of the metal finishing process, and then through final packaging and delivery. We utilize statistical process control techniques to ensure repeatable high quality. Our software system provides us with the necessary process information to guarantee that our customers receive repeatability and a consistent finish on every job. Accurate Metal Finishing operates in full compliance with all local, state and federal regulations. Our personalized service, ISO 9001 certification, and knowledgeable staff ensure consistent results from all your metal finishing needs. You can rely on Accurate Metal Finishing to meet or exceed all your job requirements, on time and on budget.